'American Idol' kicks off Hollywood Week --169 hopefuls sing solos and who survived the dreaded Group round?! American Idol judges Katy Perry, Lionel Richie and Luke Bryan began advancing or cutting the sixteenth season's 169 Hollywood Week hopefuls during Monday night's broadcast on ABC. On Day 1 of Hollywood Week, the judges announced only 24 contestants will end up surviving this brutal week of competition. The judging panel told the 169 artists they first must sing a solo. If a hopeful advances from this round, he or she would then participate in the Group Round. Those who make it through the Group round will then be asked to sing one more solo to help the judges determine their Top 24. For the initial Solo round, the contestants took the stage one by one, and after 10 people performed, the judges would "deliberate and eliminate," according to host Ryan Seacrest, so a lot was riding on this one perfomance. The following artists were shown performing impressive solos and raising the stakes for everyone else in the competition: Layla Spring, a 16 high school student from Marion County, KY, who sang "Oh Where Can My Baby Be" by The Cavaliers; and Alyssa Raghu, a 15-year-old high school student from Orlando, FL, who sang "The Wind Beneath My Wings." Trevor McBane, a 22-year-old goat farmer from Savanna, OK, also shined, in addition to Caleb Lee Hutchinson, an 18-year-old musician from Dallas, GA, who sang "Don't Close Your Eyes" by Keith Whitley. But the great performances didn't stop there. More artists who were shown advancing to the Group round were Noah Davis, an 18-year-old nursing student from Royal, AR, who sang "Mama Knows Best" by Jessie J., and Catie Turner, a 17-year-old high school student from Langhorne, PA, who sang "Come Together" by The Beatles. Maddie Poppe, a 20-year-old college student from Clarksville, IA, also made it through. And she was later joined by Milo Sposato, a 17-year-old high school student from Malibu, CA; and Cade Foehner, a 21-year-old college student from Shelbyville, TX. Two more standout vocalists were Jonny Brenns, an 18-year-old college student from St. Augustine, FL, who sang "Somebody Else" by The 1975, and Jurnee Weathers, an 18-year-old hostess from Denver, CO, who belted out "You Don't Do It For Me Anymore" by Demi Lovato. A "yes" from the judges also went to Dennis Lorenzo, a 26-year-old singer from Philadelphia, PA, who sang "Thinking Out Loud" by Ed Sheeran, and Trevor Holmes, a 27-year-old construction worker from Thousand Oaks, CA, who performed "Riptide" by Vance Joy. Ryan also revealed at this stage of the competition that Effie Passero, Ada Vox, Maddie Zahm, Marcio Donaldson, Laine Hardy, Garrett Jacobs and Mara Justine. The highlighted artists who unfortunately did not make the cut in this round were Julian Sposato, a 17-year-old high school student from Malibu, CA -- who watched his twin brother advance -- Kenedee Rittenhouse, a 20-year-old legal aid from Checotah, OK; Joshua Ward, a 16-year-old high school student from Williamton, NC; Kristyn Harris, a 23-year-old cattle farmer from McKinney, TX; and Zach D'Onofrio, a 17-year-old crooner. David Francisco, a 26-year-old musician from Nashville, TN, also sadly didn't make the cut, along with Griffin Tucker, Cameron Theodos, and Daniel Ethridge. For the Group round, the contestants were able to rehearse with vocal coach Michael Orland before performing for Katy, Luke and Lionel. The goal for the hopefuls was to perform as a united group with blended sound and harmonies all the while attempting to shine as individual and solo artists. When the judges addressed the remaining contestants after solos, Luke said this round was like "survival of the fittest" and they needed to entertain and make others smile. The first group to sing "Rather Be" only had one member eliminated -- someone who was not featured during the performance -- so the judges chose to advance Michael Woodard, Thaddeus Johnson, Shannon O'Hara, and Kourtney Smith. Next up was a group featuring Marcio Donaldson, Maddie Zahm, Cesley Parrish and Samuel James. After the group sang "Staying Alive," everyone advanced except for Samuel. Another group was comprised of Catie Turner, Alyssa Raghu, Victoria McQueen and Kyah Robinson. Unfortunately for Kyah, she was the only person ousted from this group. Due to extreme exhaustion and a loss of their voices, Johnny White, Rissa Watson and Samuel Swanson were sadly cut from this round. These three artists knew they could have performed better had they taken better care of themselves, so it was a tough blow for these individuals. The next group up shined, as Aname Rose, Deonte Baker, Dennis Lorenzo, William Casanova, and Milo Sposato sang "Love Yourself" and all moved on to the next round. Right on their heels, Ada Vox and Kay Kay Alexis advanced, as well as Gabby Barrett, Christina Jones, Jurnee, Laine Hardy, Dominique, and Kaitlann Runnels. This was the end of the road, however, for Mia Desaris and Juliana Madrid. 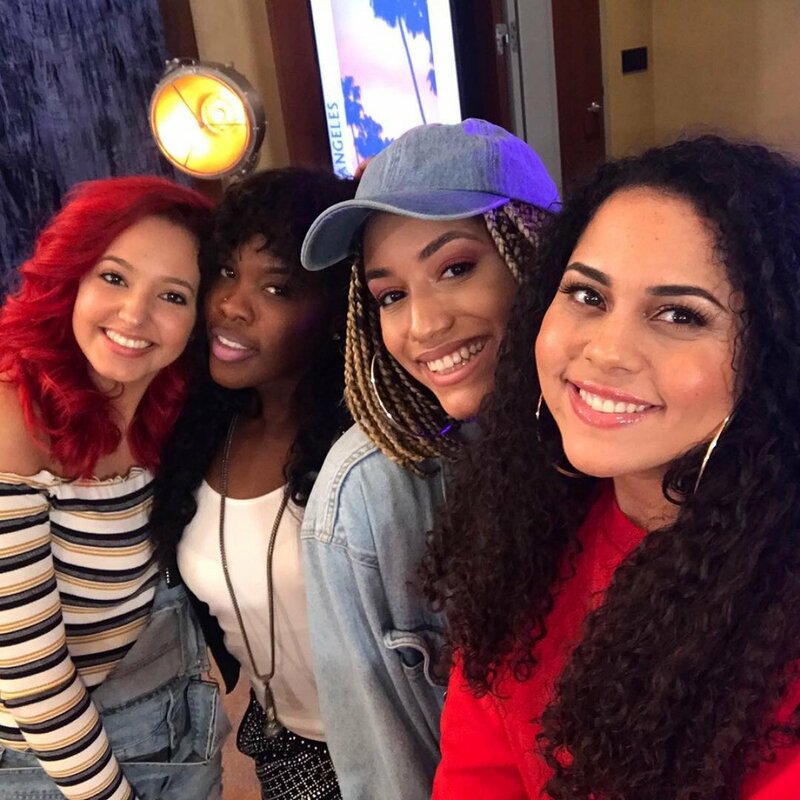 The episode concluded with an entire girl group moving on -- Britney Holmes, Lee Vasi, Gabbii Jones, and Crystal Alicea -- after a performance of "Me and My Broken Heart." Katy tricked the girls by saying one of them had to go home and one person needed to volunteer herself for elimination. With tears welling up in her eyes, Crystal raised her hand, but then Katy admitted she was joking and they all had made it. Katy asked everyone in the audience to cheer for Crystal's selflessness and big heart. Hollywood Week will continue on April 1 with another round of solos, and then "Final Judgment" will be made on April 2, when the Top 24 will be announced. Kyla Jade talks 'The Voice' Battle victory: I was knocked out of my comfort zone, it was overwhelming! Katy Perry honors late friend and mentor: "I am incredibly grateful"
Katy Perry on reaction to her 'Witness' album: "My heart was broken"